Usually replacing the Thermostat and or Engine Coolant Temperature (ECT) sensor will fix the problem. Coolant temperature signal sent to the ngine Control Module (ECM) is not within specified range. 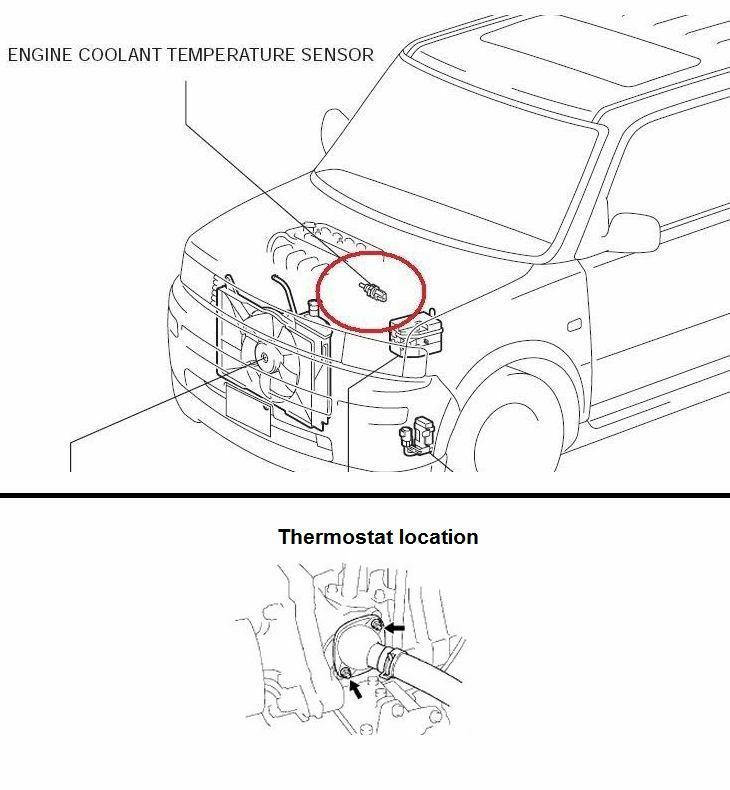 The Engine Coolant Temperature (ECT) sensor is used to detect the engine coolant temperature. The sensor modifies a voltage signal from the Engine Control Module (ECM). The modified signal returns to the ECM as the engine coolant temperature input. The sensor uses a thermistor which is sensitive to the change in temperature. The electrical resistance of the thermistor decreases as temperature increases.